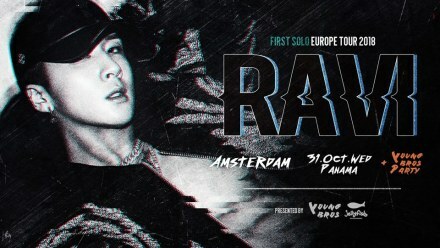 *Please Note that Young Bros Party ticket is not included for RAVI concert tickets. You must purchase separately if you wanna join the party. All the tickets are E-Tickets. You can show your e-mail with barcode to scan. So you don't need to print. If you don't bring governed ID Card, We won't guarantee you to enter the show. VIP Guests are allowed to hand little gifts to Ravi. You will be allowed to bring only small presents. No foods & drinks are allowed. Food & Drinks are NOT allowed to bring inside.